No longer a rumor, the US Navy will dispatch 3 helicopter carrier ships to the shores of New York and New Jersey, USS Wasp, USS Carter Hall and USS Mesa Verde. 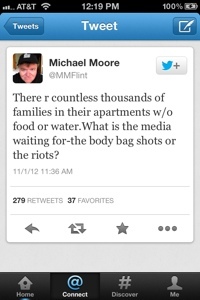 According to Michael Moore people need help, like now! According to Obama, no one will get left behind. Just ask the four dead in Benghazi, Libya. 34 dead in NY. So far, and here comes another rainstorm. To top it off, NYC is planning to hold the NYC Marathon on Sunday. Really? Really.